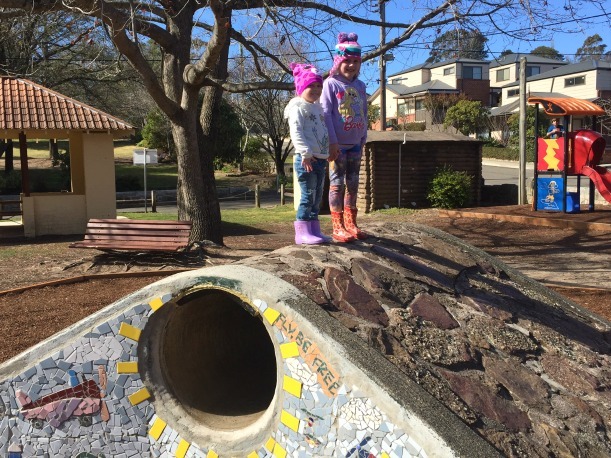 Looking for a fun playground in the Blue Mountains? 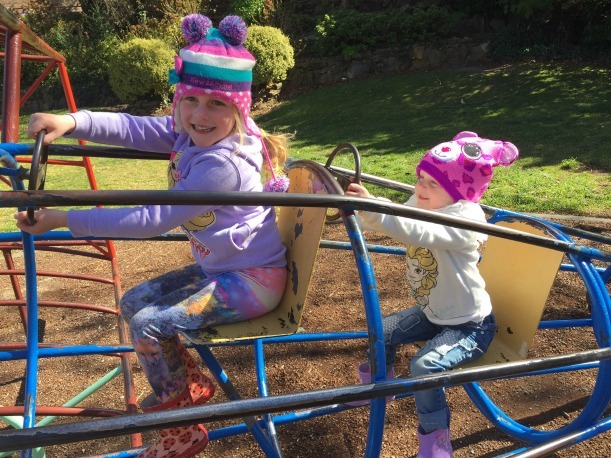 Hinkler Park in Katoomba is a beaut little playground with plenty of space for a picnic or for the tribe to run around and explore. 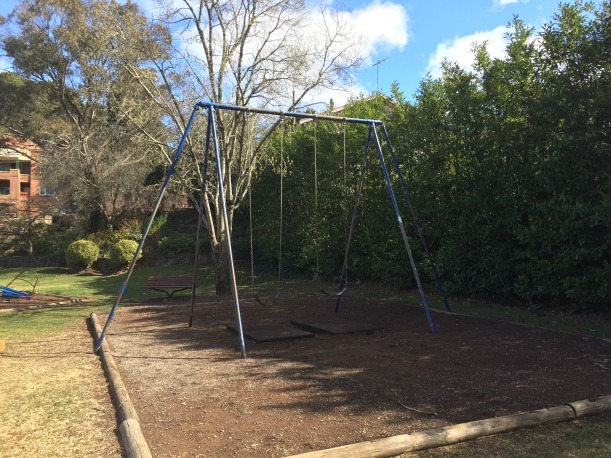 Hinkler Park has plenty of swings with six swings available for kids including baby swings and an adult disabled swing seat with a frame for added support. There is a small fort with a slide and an imaginative play area with a cafe window. 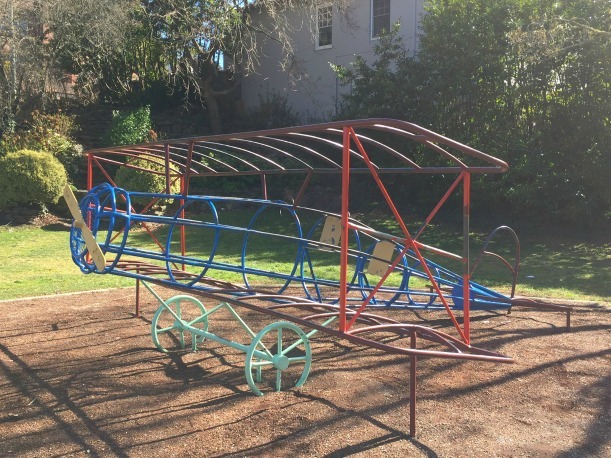 The main attraction at Hinkler Park is the airplane climbing frame which has two seats with steering wheels for little pilots and co-pilots. The kids loved climbing in and out of the seats, switching places and climbing on the tail and wings of the plane. 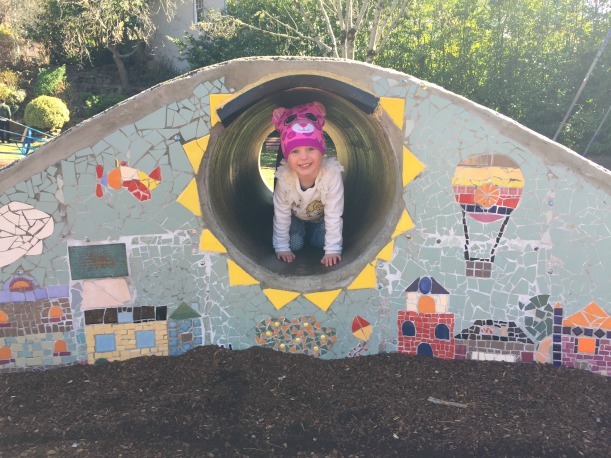 They also loved the crawling tunnel and the rocky mound that they could climb to the top of and run down the other side. 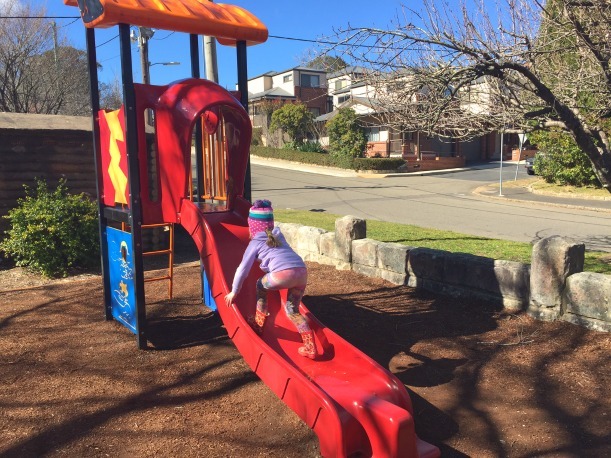 Hinkler Park is broken into two sections, one which is all grass and open space and the other with the play equipment. There are public toilets at the park as well making it a perfect place to stop for some play at any time of day.